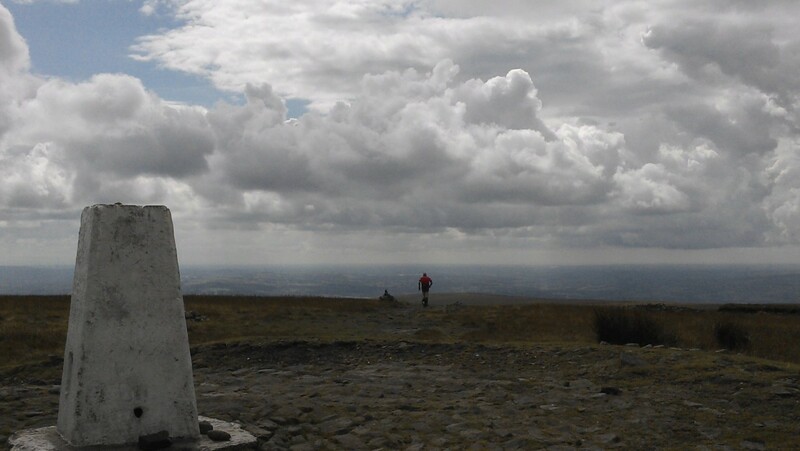 If you have been following my last few posts you will know an ascent of Pendle Hill, 557m, has alluded me. Luckily I phoned my walking cousin H this morning suggesting an outing, he was going to be in Clitheroe today so a hasty meeting was arranged. Would you believe it but his bus broke down and we were delayed in setting off from Downham. No problem as we only needed a short afternoon to climb Pendle. Today I had a purpose apart from said ascent, needed to meet up with H to arrange forthcoming trip to Le Chemin de R L Stevenson and needed to check out my new phone’s camera and ability to post from it. Trying to drag myself into this century’s technology! 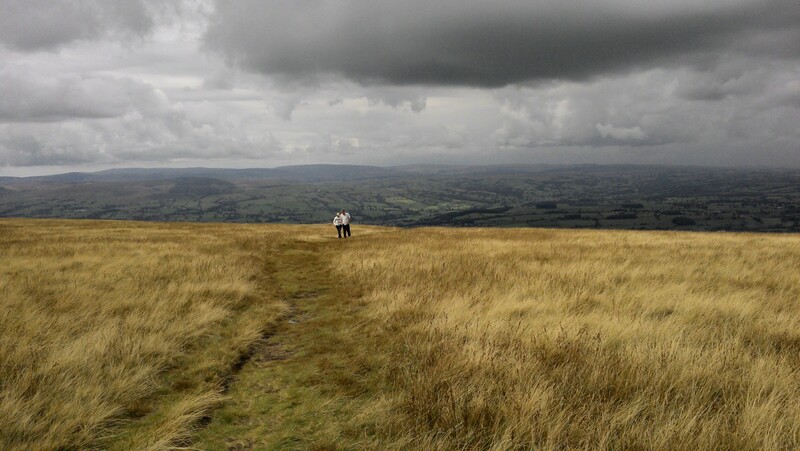 Our walk up and down Pendle proved no problem. 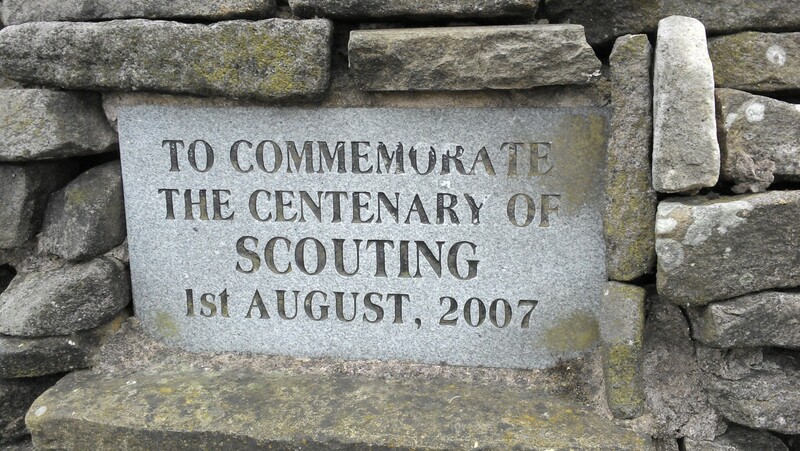 Scout Cairn on the ascent of Pendle. 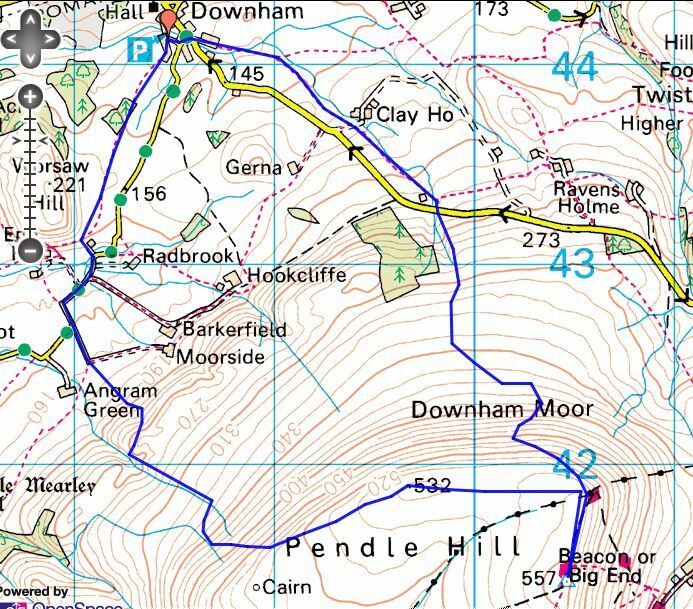 We descended off the the Big End Of Pendle via a different track than usual taking us into the little valley down past Clay Farm and back to Downham. Our arrangements proved more complicated and I’m not sure of the phone but if you are able to read this all must have worked. Actually I tweaked it a bit on the lap top. The pics were just OK but had difficulty inserting them into the post on the phone, will get that sorted. 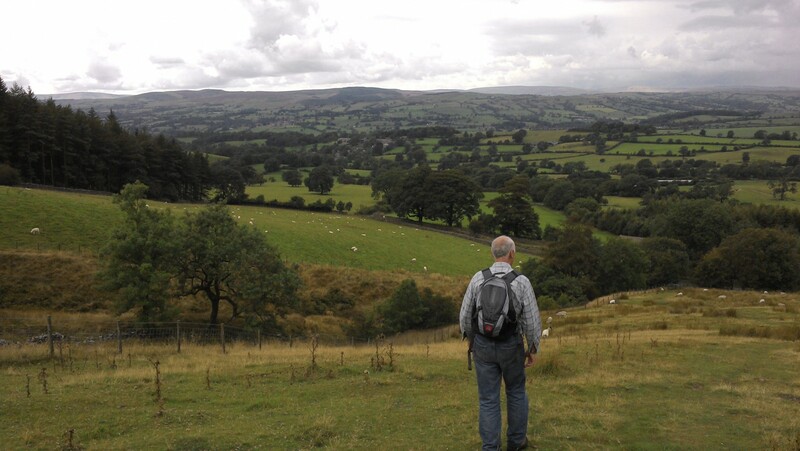 This entry was posted in Lancashire., Walking. and tagged Lancashire, Walking. 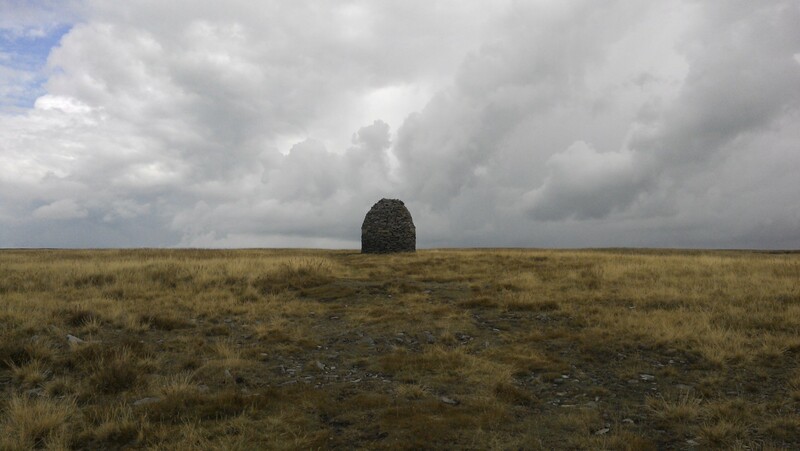 on August 16, 2014 by bowlandclimber.